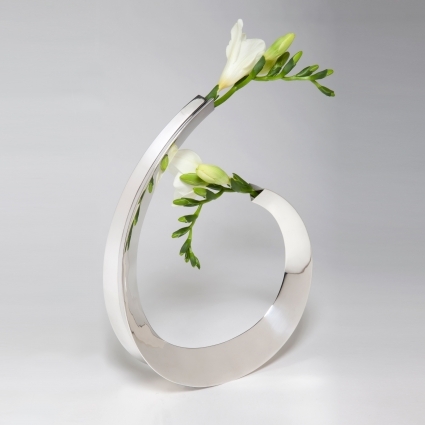 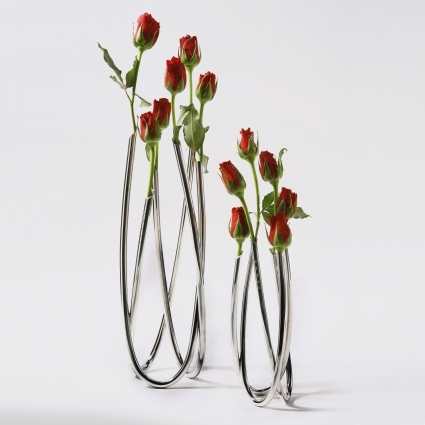 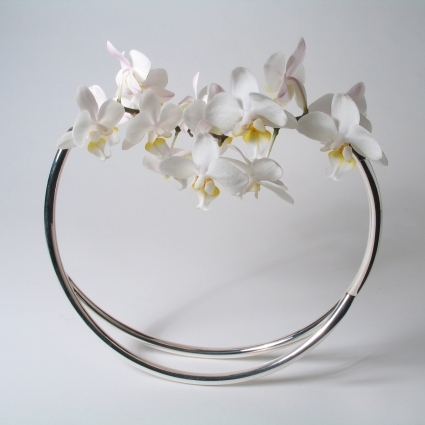 Olivia specialises in designing and making sculptural silver vases. 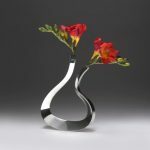 Through her work she creates innovative forms where the vase itself is as visually interesting as the flowers it holds, the two elements working together to create a single, unified composition. 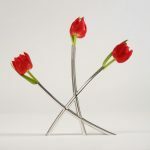 Her most recent pieces are hand-forged from long strips of silver before being bent into 3D form and soldered together. The crisp edges of the vase combine with the graceful fluidity of its linear form. 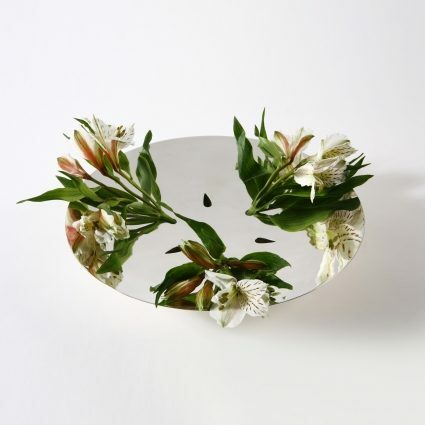 How to contact Olivia Lowe.